Birthday Organiser . 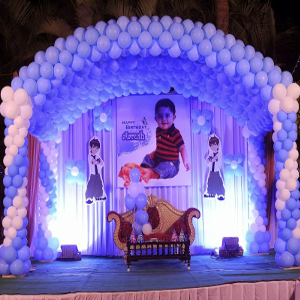 Organizing Birthday Party is innovative and visionary task in today’s world. You must have sharp mind and fresh imagination for decoration or organising birthday. Decoration has gone far beyond the thinking of common people .Now it’s not about decorating balloons every where , today you have to decor each and every thing according to the theme. 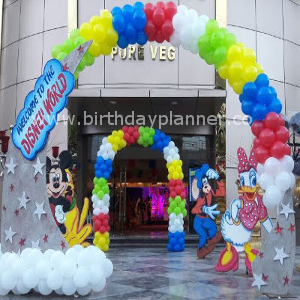 Birthday Planner is one of the leading birthday organiser in Delhi Ncr who has enormous variety of theme party and decor ideas for birthday party or for events. Hence Birthday Planner have distinct Decoration Ideas for every birthday party , their each party is different from the last one. Now days there are large number of birthday organiser in delhi who organize birthday but their work quality are poor. Birthday planner does not compromise with quality, they work with passion and class , always try to improve in product quality. Birthday planner have organized more than 5000 birthday and counting, always tried to “offers a high standard of service”. Similar other links are Birthday Party Organizers , Birthday Party Organisers , Birthday Party Ideas and even more.